Welcome to our DonorDrive page! We met during our junior year and immediately bonded over our organizational involvement, mutual love for Penn State, and all things THON. 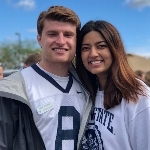 Our excitement and passion for THON has only grown over the past three years and we are thrilled to culminate our journeys and spend our final year as students dancing together and standing strong FTK. To us, THON represents HOPE. It is a feeling of magic and wonder within children that have inspired us with their remarkable resilience and strength. It is a beacon of light for families who are facing this adversity and a constant reminder that the world is full of miracles. 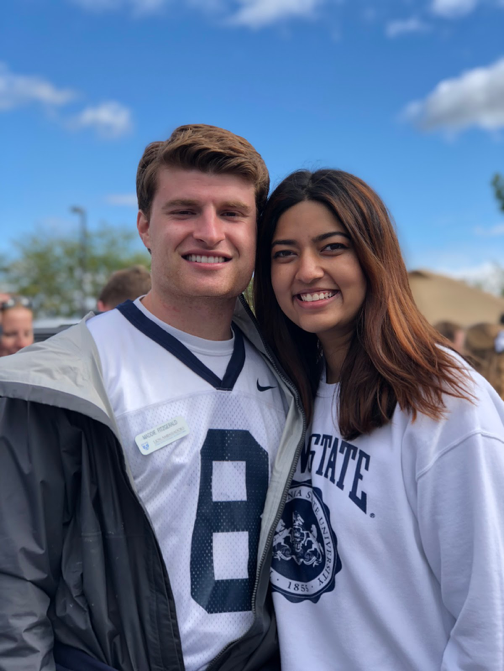 We cannot be more proud to take on this endeavor and fundraise for an incredible organization in an effort to provide outstanding financial and emotional support to families and spread THON's mission across the world. With your generous contribution, you will bring us one step closer to being able to stand up against childhood cancer during THON Weekend and dance for a cure. Thank you for your support and love, we could not do this without you! Join us in our commitment to turn childhood dreams into reality by supporting THONTM. Together, we are taking action by uniting with 16,500 student volunteers and over 25,000 alumni supporters in the fight against childhood cancer. Our year-long efforts culminate in a 46-hour, no-sitting, no-sleeping dance marathon each February to celebrate our survivors, remember those we’ve lost, and take a stand--all in hopes of one day dancing in celebration of a cure.